Enjoy your visit? Leave us a review! 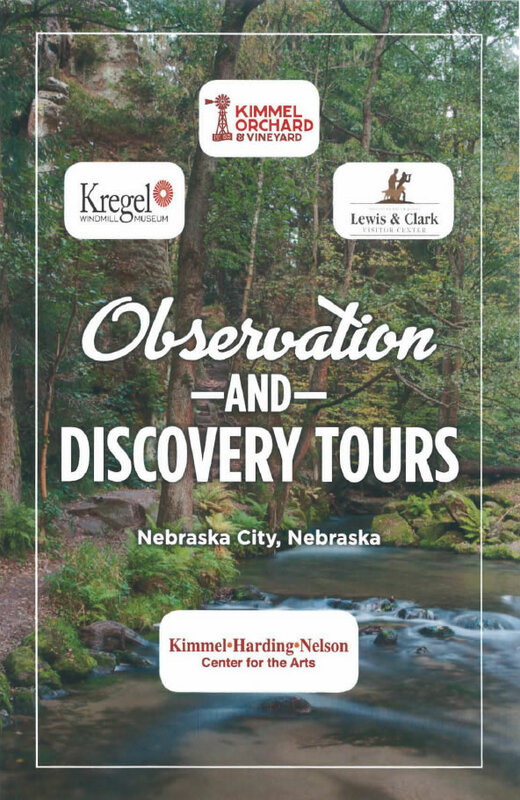 The Lewis & Clark Visitor Center is pleased to be able to offer a discounted rate for tours and field trips to Observe and Discover more than one destination in Nebraska City. Kimmel Orchard and Vineyard is an educational foundation focused on interactive learning. For over 90 years, Kimmel Orchard has educated guests on alternative agriculture. Take a guided hayrack ride through all 98 acres and see over 20 apple varieties and seven different fruits grown. Walk through our Tree Dome Nature Trail and discover native plants and wildlife. Stop and play on the Kimmel Pollinator Playground Educational Park. Visit the historic Apple Barn and see our apple sorting line as well as our apple cider press! The Lewis and Clark Center is located on 79 acres where you can walk in the footsteps of Lewis and Clark, over looking the Missouri River. 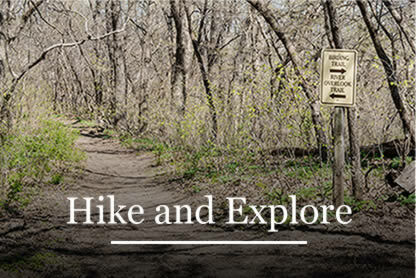 Observe and discover plants and animals on trails through wooded bluffs and grassland prairie. Watch a 30-minute video of the epic journey of Lewis and Clark. 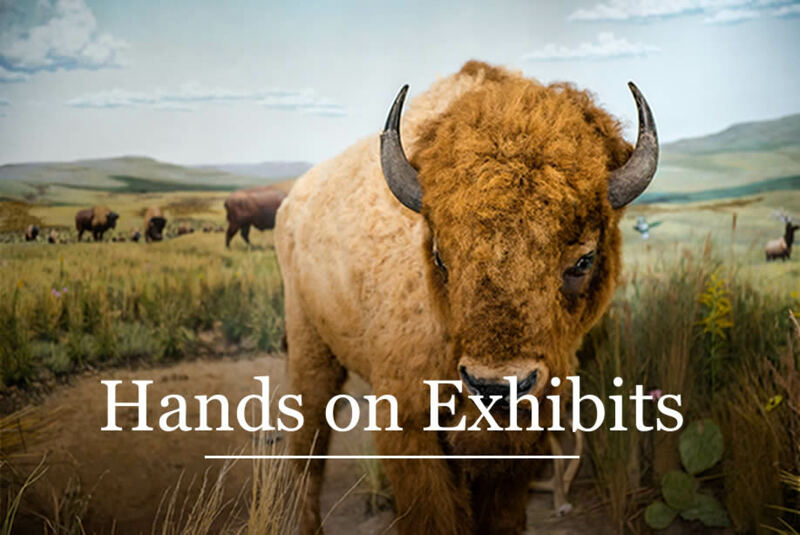 Explore several exhibits featuring the 122 new animals and the 178 new plants that Lewis and Clark discovered. Walk aboard a full size replica of the keelboat, play a video game navigating the white pirogue upstream. 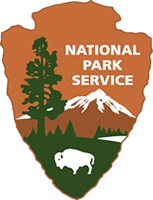 Interact with displays of prairie dogs, buffalo, .grizzly bears, elk fish, and birds. Explore a Native American earth lodge. Kimmel Harding Nelson Center for the Arts (KHN) supports established and emerging writers, visual artists and composers from around the world. The Center’s unique complex provides working artists an ideal environment for work, reflection and creative g rowth. Include a visit to KHN in your tour and experience the center’s midcentury modern, prairie-style complex that exemplifies graceful living. Discover works by regional artists in the KHN gallery and in our permanent collection. Come enjoy a free expedition with our soldiers! They will be giving demonstrations and interpretations of various exhibits around the Lewis and Clark Visitor Center. Kids can dress up in look-alike uniforms. Great photo opportunities. 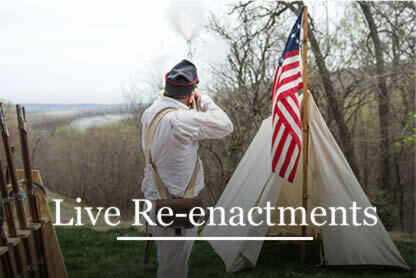 The Living History Corps provides free demonstrations every second Saturday during the spring and summer months. ©2019 Missouri River Basin Lewis & Clark Visitor Center. All rights reserved. Site by BCom Solutions, LLC.